Rivers of London is an urban fantasy novel by Ben Aaronovitch. Peter Grant was just a probationary constable in the Metropolitan Police Force and faced a life in the drudgery of the Case Progression Unit (doing paperwork so real coppers don't have to). Then one night, on a cold, wet night while investigating a murder he finds himself taking a witness statement from someone who was dead but quite vocal, bringing him to the attention of Inspector Nightingale, the last wizard in England. Told from the first person perspective of Peter, River of London is one of those rare novels that instantly grabs your attention and becomes almost impossible to release from your grasp. You will find yourself buried in the book as you walk around, bumping into random objects and/or people (not recommended folks) and you will keenly feel the absence when your attention is reluctantly dragged away. The way that Ben Aaronovitch manages to capture the heart and soul of London is outstanding, the only novels I have read that comes close to getting this right are the equally impressive Sixty One Nails (by Mike Shevdon) and Neverwhere (By Neil Gaiman). Having lived in the "Capital of the World", my heart does occasionally yearn to once again feel part of an energetic, relentless metropolis and Rivers of London has once again awakened those feelings. There are plenty of references to real locations and the way the story unfolds gives a very palpable feeling to the events, even when they are at their most unreal. This also extends to the way that urban myth and folklore are seamlessly blended into the story, it's quite simply pure genius. The quality of the prose is incredible and there is a very light, dry humour running throughout with makes the novel a joy to read, it's delightfully clever and leaves the reader in a "feel good" mood, even in the darker moments of the story. The characters are also just spot on, from the enigmatic Nightingale to the imprudent Beverley everyone lives and breaths within the pages. Want to know how good this novel is?, half way through it and I got on Amazon to pre-order the sequel (Moon over Soho due out 21st April 2011) the only other novel I have pre-ordered in recent history is The Wise Man's Fear. 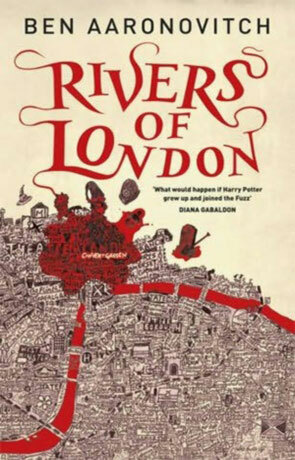 Original, creative and astonishingly inventive - Rivers of London is a must have novel. Written on 6th February 2011 by Ant.